Our latest new treasure hunt in Lichfield is now available. 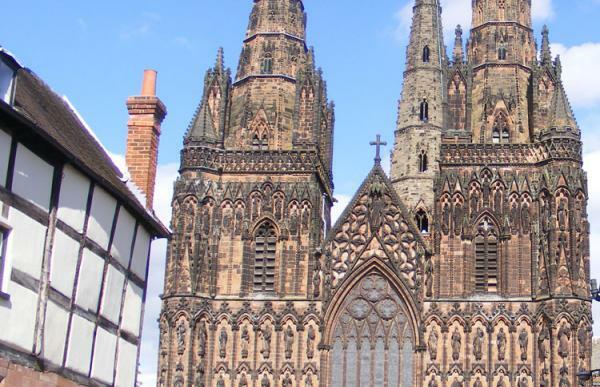 The small city of Lichfield is one of the gems of the Midlands. The birthplace of Samuel Johnson and many other famous names, it boasts a magnificent Gothic cathedral with three spires – the only one in England. The route starts and ends outside the Cathedral, and covers most of the old town centre streets. 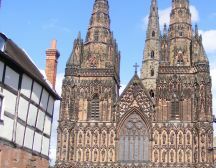 Lichfield city centre boasts over 230 listed buildings, and her famous sons are all well-remembered with plaques and museums dedicated to their works all around city. The Hunt ends back in the Cathedral Close at Erasmus Darwin House.